Negative Traits: Escapist and Idealistic; Secretive and Vague; Weak-willed and Easily led. Pisces people like time alone to dream, mystery in all forms, discarded things to stay as such, the ridiculous and to get lost periodically. They don’t like the obvious, being criticised, feeling unsure about something, know it alls and pedantry. Each chakra resonates with a different elemental energy or vibrational frequency (fire, earth, metal, water, ether. light and sound). A Pisces person will find that by focusing more intently on particular chakras, that their healing will be increased, as they vibrate at a higher intensity with these chakras. The Sacral Chakra offers Pisces increased creativity when you are starting a project, have writers block or just can't get started. This chakra enables you to create and maintain a loving relationship with your partner, family and friends When focusing on this chakra a Pisces person can enhance their sexuality, sensuality and general health. The Third Eye Chakra enables you to see and understand your truth. It will increase your awareness of the people and things around you. It also encourages Intelligence and imagination. The Thymus Chakra is midway between the throat and heart chakras and offers you a connection with Mother Love, access to the Divine and Earth Mother. Attributes - Silver is a major conductor and communicator. This metal helps you with speech and public speaking eloquence. It enhances patience and perseverance. It has a soothing , calming effect. Silver is excellent for mental, emotional, and physical releasing and cleansing. Works on the mind and emotions to help you see the overview of life and achieve an emotional balance and patience. Silver has the ability to energise other stones during the new and full moons. It draws negative energy out from the body and replaces it with positive energy. Message - Efficient allocation of resources enhances the positive flow of wealth. Focus - You value everyone and everything, seeing energy exchange as vital. . 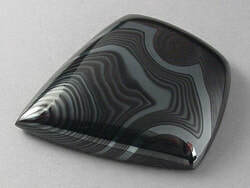 Attributes - Psilomelane is a manganese oxide stone that encourages you to slow down and relax. It will help you understand and come to terms with any negative experiences that you have suffered. Psilomelane will help you to stop expending unnecessary energy on tasks. It will strengthen you in times of strain. Physically philomelane stimulates the intestines; stabilises the circulation and protects the heart. 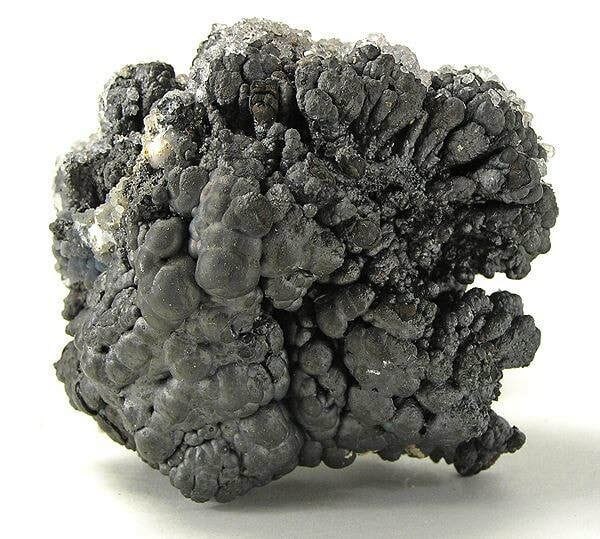 Note - Psilomelane is a group name for hard black manganese oxides including Hollandite and Romanechite. Psilomelane consists of hydrous manganese oxide with variable amounts of barium and potassium. 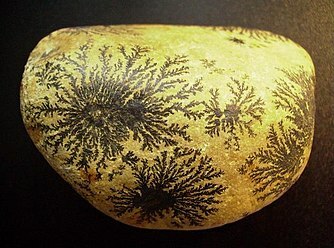 Psilomelane has no clear structure and occurs as botryoidal with a smooth shining surface and sub-metallic lustre and as dendritic branches in a host stone. Message - Tactical expertise, skill, awareness and intuition keep me safe. Focus - You are a self-sustaining, practical person who alerts others to universal principles. Affirmation - I exercise moderation and caution in my life. Attributes - Petrified wood will help you feel grounded in your life and yourself. It will stabilise your emotional extremes. Petrified wood will help you stand on your two feet and be confident in yourself and your reality. Physically petrified wood stimulates your digestion and metabolism, it fortifies the nerves and will help those who are overweight. Message - The human senses are fundamental; Chi is eternal. Focus - An old and wise soul with many past life memories, you teach others how to love living. Affirmation - I choose to live life in every moment. Attributes - Ocean jasper is the stone of renewal; it helps you look at life in a positive way. Ocean jasper will reduce stress and assist you in relaxing and ensuring peaceful sleep. This stone will help you resolve any conflict that you have with others. Physically ocean jasper aids your digestion, warms your extremities and enhances cell renewal. It increases the immune system and helps ease skin irritations. It has been known to help ease colds, cysts and tumours. Message - The coming together of people, emotions, plans and phenomena. Focus - You are a professional helper – comforting people, is what you do best. Affirmation - I help others reach their goals, with compassion. Attributes - Green kyanite helps you be comfortable in your own identity and enhances your instincts of survival. This stone will help you overcome feelings of being a victim of circumstances and being resigned to those feelings. It promotes an instinctive reaction to situations. Physically green kyanite aids rheumatism and gout; helps those with mobility issues; it is good for your motor nerves and dexterity. Message - Cooperatively achieving spiritual and creative success. Focus - You are an active volunteer, bringing significant social and economic value to the community. Affirmation - Charity is divinely received into my soul, and I share it with others. Attributes - Sardonyx is a stone of virtue. It will increase your powers of E.S.P. This stone is known to bring honesty into your and others lives and with enhance your strength of character and not allow others to overcome you with their desires. Physically sardonyx enhances all the senses, helps ear problems and tinnitus. It will help prevent any relapse after suffering a long term illness. Message - Exalted standards, obedience, dignity and loyalty. Focus - Your sense of duty, honour, respect and high ideals motivate greatness. Affirmation - I look to my guides for help along my spiritual path. 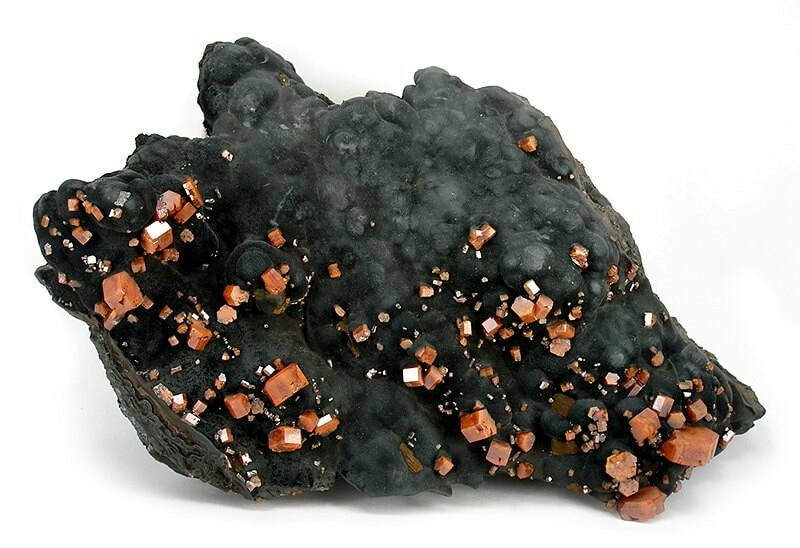 Attributes - Staurolite will help you understand and accept your own identity and aid you in transforming your life for the better. It will help you gently dissolve any fixed patterns of behaviour that are outdated. It will help you differentiate between want and need for the things in your life. Physically it treats bacterial, viral and fungal infections. Message - Symbols, belief systems, rituals and morals hold powerful truths. Focus - You understand that both man ‘made’ religion and the universal spirit, are valid and potent. Affirmation - I am consciously aware. Attributes - Blue kyanite will help you find your true identity. If you need a fulfilling vocation and are not sure how to go about it, blue kyanite will help guide you to your goal. It will help you remain calm and focussed in extreme situations. It helps you achieve action through logical thought. Physically blue kyanite eases hoarseness and problems of the larynx; it is good for you motor nerve function and it will increase your dexterity. Message - Announced messages signal action. Focus - You show others how the power of the voice – the air and the vibration – holds magical power. Affirmation - I speak honestly and clearly, and people take notice of me. Attributes - Yellow jasper will help you increase your endurance, spiritually, mentally and physically. This stone promotes perseverance and tenacity when undertaking tasks. Yellow jasper will help you understand the experiences that you are going though and teach you how to endure the ones that are unpleasant and frustrating. Physically yellow jasper will help build you immune system and aid your digestion. It purifies and firms your connective tissue. Message - A vital energy force moves with great speed through space and time. Focus - You have high ideals, light-speed intuition, and you will rise to meet any circumstance. 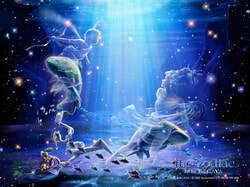 Affirmation - I move in one swift quantum leap with mind, body and spirit. Attributes - Scolecite promotes team spirit and the need for you to become a member of a cohesive group. This stone balances over activity with restful sleep which then help you have a balanced healthy life. It will urge you to see a positive life stretch out ahead of you. Physically scolecite will sharpen your hearing, strengthen your bones, ears and kidneys. Message - Transcend the mundane; show others the way. Focus - In your life, you explore freedom, form, perspective, rules and the unlearning of rules. Affirmation - Eternal perception clarifies my ideas in the now. Attributes - Shiva Lingham will guide you to spiritual advancement, it promotes inner peace and the setting of boundaries. This stone will help you remove emotional blockages that you may have built from emotional problems that you suffered during your early childhood. It will help your release unnecessary things from your life. Physically shiva lingham will ease all abdominal discomfort. Message - Unbiased, astute, flowing, balancing, penetrating love. Focus - Radiating timeless wisdom, you meditate and focus on receiving Divine revelations. Affirmation - I look to the light even in my darkest moments. Attributes - Yttrium fluorite supports the state of self fulfilment. Its energy helps service oriented professionals maintain an attitude of understanding and detachment. Yttrium fluorite is used by psychics and clairvoyants to calm and focus the mind. Message - Perform strongly and gain entrance to the higher ranks. Focus - You are a good judge of character and display the highest of ideals. Affirmation - My trials and successes lead the way for the betterment of others. Attributes - Iron is a mineral for illuminating your personal intentions and aims. It will help renew outdated behaviours and bring in new ones to help you accept, understand or remove your existing value system and code of conduct. It will help you bring spontaneity into your life. Physically iron regulates muscle tension. Message - Modelling fairness, strength, compassion, determination and devotion. Focus - You find yourself in leadership positions, a model of prestige, authority and distinction. Affirmation - I believe in the power of non-violence. Attributes - Yellow diamond encourages your strength of character. It will enhance your personal ethics and faithfulness to yourself and others. It will give you feelings of responsibility and the ability to be objective. Physically yellow diamond strengthens the brain function, nerves, sensory organs, glands and blood vessels. 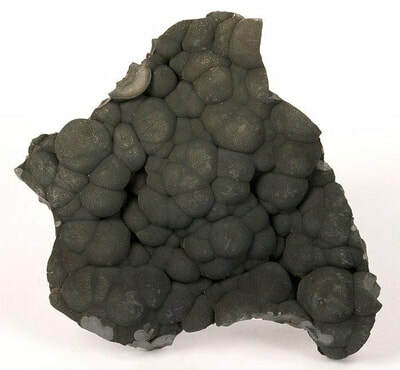 This stone has been known to be good for easing the symptoms of stroke. Message - Delightful expression, wonderful style, attention and brilliance. Focus - Elegant and refined, you express yourself in a dynamic fashion. Affirmation - When I look good I feel great. Attributes - Andalusite will encourage you to discover your own personal vocation and help you to recognise who you really are. It promotes self confidence and generosity toward others. It will help you see the big picture and be able to keep your ideas with in realistic parameters. Andalusite will help with stomach and intestine problems. This stone gives you strength. Message - Discipline and order promote the extension of civilisations. Focus - You rely on factual knowledge, knowing that accuracy is essential for putting your point across. Affirmation - I prepare for important events in my life.